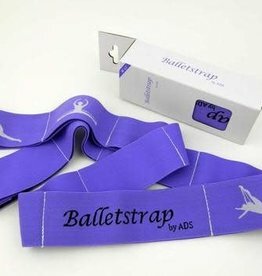 ADS Ballet Strap Jr. is a great tool to increase flexibility for our smaller dancers. Illustrations are printed on the band with suggestions for a variety of ways to stretch. 11 Loops for hand and foot placement to stretch in multiple ways.